Originally from Leith, Scottish baritone Arthur Bruce is a graduate of the Royal Northern College of Music (RNCM), English National Opera’s ‘Opera Works’ programme and Scottish Opera’s Connect ensemble. Arthur returned to Scotland last year to begin postgraduate studies at the Royal Conservatoire of Scotland’s (RCS) Alexander Gibson Opera School. 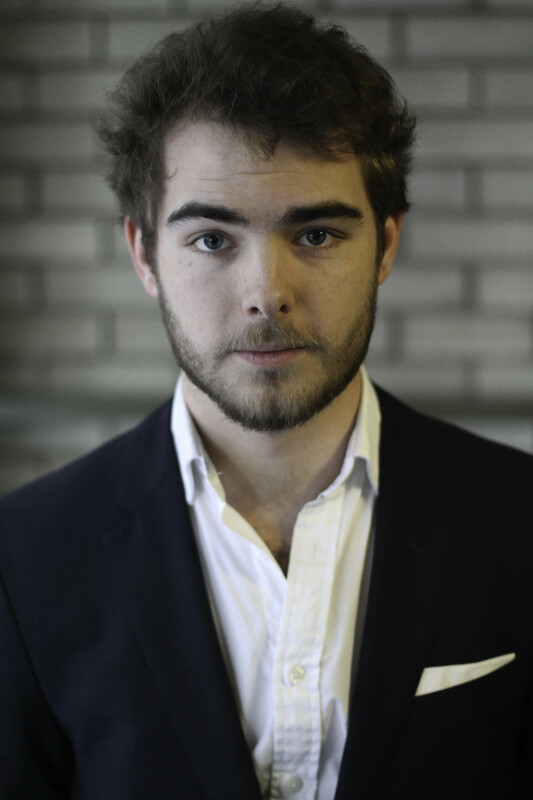 Whilst at the RNCM, Arthur won the John Cameron Prize for Lieder and the Kate Snape Scholarship, as well being a finalist in the Elizabeth Harwood Memorial Award for Singers, the RNCM Gold Medal Competition and the College’s Concerto competition. Operatic engagements include Chorus for Scottish Opera and for Opera Holland Park; Papageno DIE ZAUBERFLÖTE for Berlin Opera Academy; Pierre Lafitte in the European première of Amy Beach’s CABILDO; Zurga LES PÊCHEURS DE PERLES for Edinburgh Grand Opera; Guglielmo COSÌ FAN TUTTE at Bedford Park Festival in London and at Chez Cartier in France; Wolfram TANNHÄUSER and Der Einäugige DIE FRAU OHNE SCHATTEN with Edinburgh Players Opera Group; Harlekin ARIADNE AUF NAXOS for Alexander Gibson Opera School Scenes; Henry Davis STREET SCENE for the RCS Opera School; Sam TROUBLE IN TAHITI with RNCM Chamber Opera; Prince Yamadori MADAMA BUTTERFLY at Bowdon Festival Opera, and Bobinet LA VIE PARISIENNE with Ferrier Operatic Society. Other work includes Chorus for Elemental Opera, the Mastersingers and Dorset Opera Festival, and performances at the Grant Park Festival in Chicago, Grand Teton Festival in Wyoming, Festival Berlioz in La Côte-Saint-André with John Eliot Gardiner and the Orchestre Révolutionnaire et Romantique, and the Aberdeen International Youth Festival. Arthur is a keen recitalist with a passion for song repertoire, especially the lieder of Robert Schumann and Gustav Mahler. His interests in early music previously led him to curate a monthly concert series of Bach cantatas in the centre of Manchester. Also enthusiastic about contemporary music, he enjoys collaborating with composers, and recently commissioned a piece by renowned Boosey & Hawkes composer, David Horne. He has premiered works by David Horne, Tom Harrold, Paul Mealor, Stephen Deazley, Tom Cunningham, Ken Johnston and John Goldie-Scot. Oratorio repertoire includes the Requiems of Brahms, Duruflé, Fauré, Mozart and Michael Haydn, Bach’s St John Passion (Pilatus), Dove’s Arion and the Dolphin, Dvořák’s Stabat Mater, Finzi’s In terra pax, Handel’s Messiah, and Utrecht Te Deum & Jubilate, Haydn’s Nelson Mass and Paukenmesse, Orff’s Carmina Burana, Parry’s Ode on St. Cecilia’s Day, Puccini’s Messa di Gloria, Rossini’s Petite messe solennelle, Stainer’s The Crucifixion, Szymanowski’s Stabat Mater, Vaughan Williams’ Five Mystical Songs, Serenade to Music and Fantasia on Christmas Carols, as well as the narration in Krzysztof Penderecki’s Symphony No.7 ‘Seven Gates of Jerusalem’. Upcoming engagements include Vierte Knappe and covering Amfortas PARSIFAL for Saffron Opera Group, and Zweiter Soldat and Fünfter Jude SALOME for Edinburgh Players Opera Group. Arthur is represented by Robert Gilder & Co. International Artist Management, and his continued studies are generously supported by a Help Musicians UK Sybil Tutton Opera Award.